Huge forearms put on the finishing touches to a physique that screams alpha male physical prowess and drips with masculine virility. It’s safe to say a strong majority of elitefts readers desire well-developed upper arms, too. I am going to share with you a huge bang-for-your-buck exercise that accomplishes both these objectives. The fat bar adds an extreme element of overload to the forearms; Tarzan-like upper arm development with Jane-like forearms belongs on Vampire Diaries and is simply cannon fodder for anyone else. Supination is a function of the biceps. With a reverse curl you grab the bar with a pronated grip and this works the brachialis, a major player in elbow flexion. The brachialis is located in the lower aspect of the upper arm, right below the biceps. A maximally-developed brachialis increases arm size and creates a better peak; Charles Poliquin recommends to win the arms race, one should be able reverse curl 80 percent of their regular curl max. Tough to argue with Sir Charles! If you do not have a fat bar, purchase Fat Gripz. These can be done standing or seated on a preacher bench. Try an EZ curl bar if a straight bar causes joint pain. Use low reps in the four to six range and the goal is to push the poundage. This is one more piece of artillery to help you win the arms race and do it in style with symmetrical forearms and upper arms. 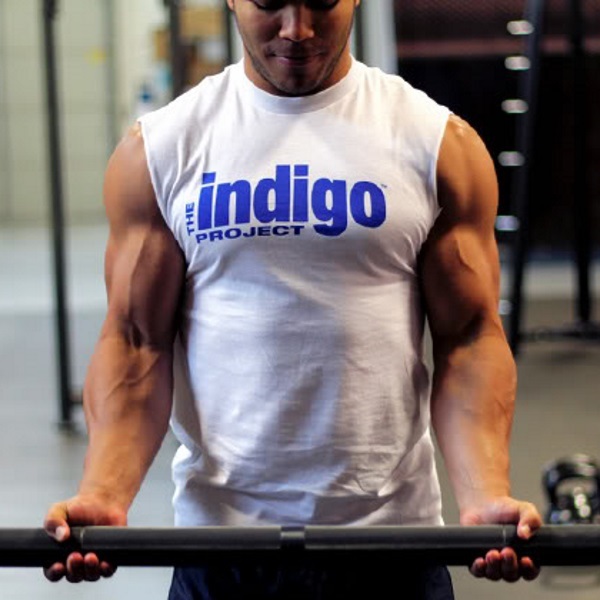 If you want to maximize the effectiveness of this movement, do it at a point in your training session where your biceps and grip are not fatigued. Next week we are going to move on to chest.